Jealousy sets in as one lucky Bachelorette is chosen for a second single date away from prying eyes. Later, a shock exit paves the way for an even more brutal rose ceremony. 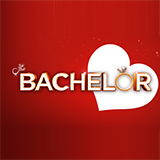 The Bachelor Australia was broadcast on Ten at Tuesday 20 November 2018, 18:16. 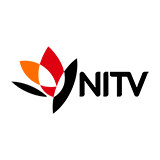 The Bachelor Australia, also referred to as simply The Bachelor, is an Australian reality dating program for television based on the world famous American show with the same name. This is an elimination-based show revolving around one Bachelor and a group of bachelorettes who compete to be the Bachelor's choice at the end of each season. By going on dates with the candidates, in group at first and later one-on-one, the Bachelor will eventually need to make a choice and decide whether or not he likes one of the bachelorettes enough to take their relationship to the next level. Once there are four women left, the Bachelor will visit their home towns with them where he meets their families. The last two women get to meet the Bachelor's family, and he will choose the winner soon after that, which usually results in a proposal.